Residents of Kpone, capital of Kpone–Katamanso Municipality in the Greater Accra Region, are calling for the immediate closure of the Kpone Land Fill site due to health concerns. 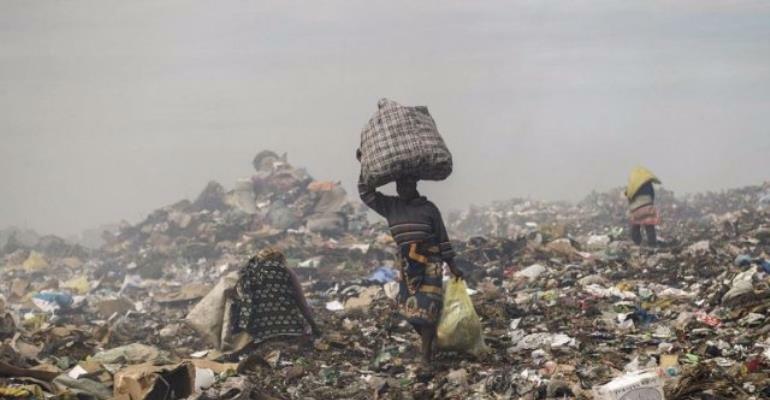 Presenting a petition to authorities at a town hall meeting organized by the Municipal Assembly in Kpone, Joseph Tetteh, lead speaker of the Concerned Citizens of Kpone, noted that the stench emanating from the landfill site was unbearable for the residents in the community. According to him, the stench became more poignant from midnight to dawn thus making sleeping very difficult for most residents. Mr. Tetteh again lamented that everyone was at the risk of falling sick due to the bad stench and the poisonous sludge that flows from the site through the town into the sea during the rainy season, adding that “the site was full yet they keep dumping the waste”. According to him, many residents spent huge sums of money on their healthcare due to serious health problems associated with the landfill site. In a response to the call for the close down of the landfill site, Mr. Michael Ewurah, Assistant Environmental Health analyst, said the call for the closure of the landfill site was in order. He assessed that Kpone Katamanso was not benefiting from the landfill site but rather contracting illnesses and an unbearable stench. He advised that the situation would become disastrous if authorities did not stop the managers of the landfill site adding, “We may have an epidemic outbreak if nothing was done “. The Tema Metropolitan Assembly manages the Kpone Land Fill site which currently receives over 1,200 metric tonnes of waste daily from the Greater Accra Metropolitan Area (GAMA).